Mike’s focus is on the day-to-day operations of the News Channel Nebraska television network and leads our statewide news effort. He is also an attorney at Norfolk’s oldest law firm, Jewell & Collins. Mike found broadcasting at age 15 and has loved the business ever since. He believes that nothing could ever beat the opportunity to start a radio station in his hometown and to serve his community with news, sports, music and entertainment. Mike believes that it’s important for Nebraskans to connect with each other around what unites our communities rather than what divides them. Our success as a state depends on our ability to respect each other and to understand the issues affecting different parts of the Cornhusker state. Mike attended Norfolk Catholic Schools and then earned his Bachelor’s Degree from the University of Notre Dame. 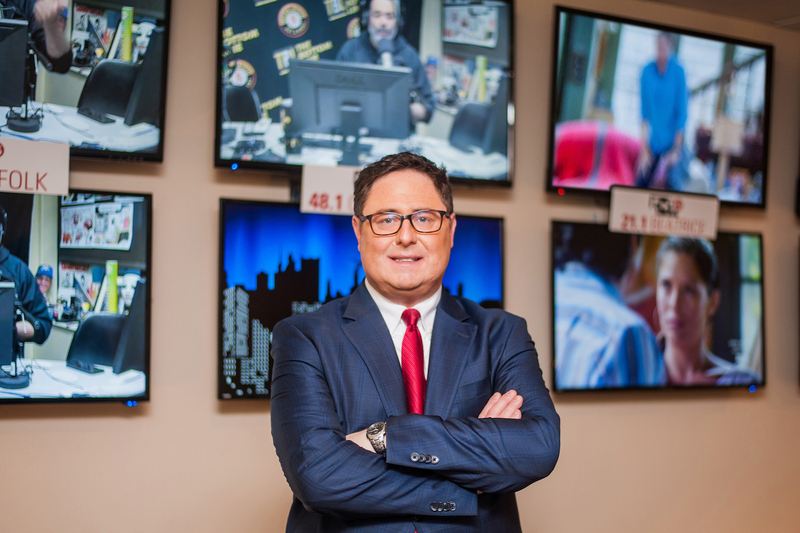 After college, he stayed in South Bend, IN for one year and worked mornings on B100 as “Sideshow Mike.” He then returned to Nebraska and earned his law degree from the University of Nebraska. After his second year of law school, Mike launched US92 radio in Norfolk with the help of Angie Stenger and Dave Amick. The station quickly became part of the fabric of northeast Nebraska and has remained one of Nebraska’s top radio stations for over 18 years. In 2005, Mike was elected to the Nebraska Legislature to serve Madison County. He was subsequently elected Speaker of the Legislature in 2007 and continued in that role until the completion of his second term in 2012. Mike was the youngest and longest-serving Speaker in Nebraska history. In 2010, Time magazine named Mike one of the Top Leaders in America under the age of 40. Mike is generous with his time, donating his expertise to important community non-profits. Mike serves on the Board of Directors for Invest Nebraska, which is committed to growing Nebraska’s economy by assisting entrepreneurs and investing capital in companies that have growth potential. He also serves on the Board of Directors for TeamMates Mentoring Program, which was founded by Tom Osborne and his wife Nancy. TeamMates Mentoring Program currently pairs 7,500 middle school students with mentors, who encourage academic success. Mike is also the Chairman of the Board of Directors for Children’s Scholarship Fund of Omaha. Its mission is to open the doors of educational opportunity for qualifying families so their children may attend the private or parochial elementary school of their choice. Mike and his wife Mandi live in Norfolk and have two children, Brenden and Blake.